Hmmm, not sure what to say about that. On some other character that face might be cute, but not Teela. I'm glad that I didn't have any interest in the set. I'm so butthurt over this, it's not even funny. The team have asked me to give you guys an update. First though, in answer to your question, some of us Moderators are fully trained and qualified public relations and comms professionals. I'm sure as you know with any organisation it's not just a case of comms putting anything out there instantly, comments and information have to be cleared and signed off at times. The posts were not removed to ignore customer complaints or avoid the situation, they were sent through to the moderation queue in a collective so that they can be reviewed and the complaints noted. 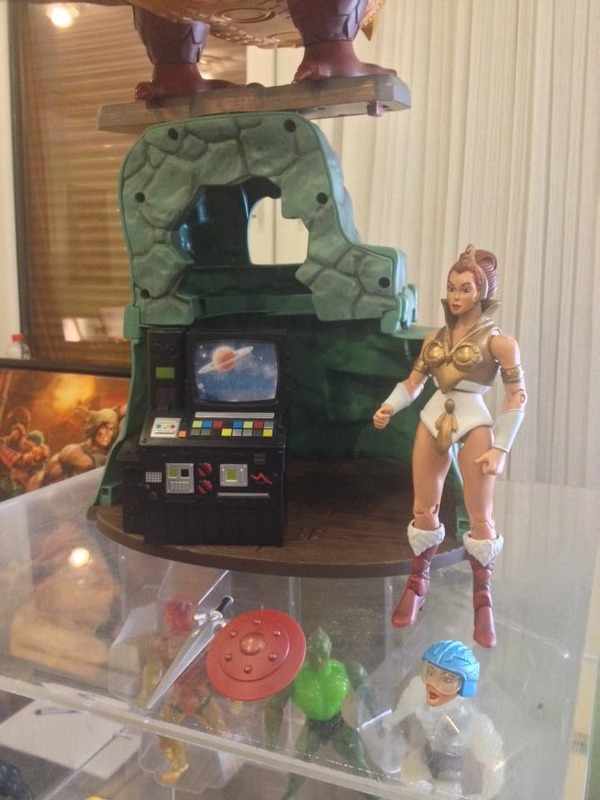 The team are very much aware of the fans unhappiness with the Teela figure and have actively been looking into the situation. The design and marketing team put together extensive notes on the factory samples of Teela when they were originally sent over from the factory in Asia. The hope is that the figure shown at Grayskull Con may be an isolated incident, caused by warping within the mold, and may not affect the entire production run. Since production is already complete and the figure comes polybagged in a sealed windowless box (as seen at the convention) it would be physically impossible to check every single unit once they arrive to the warehouse. As soon as the photos of Teela at the con in Germany surfaced, the team contacted the factory in Asia to investigate, but please bear with them. They're as frustrated as you are with the situation. They truly want to put out great products just as much as you guys want to own them, and no one anticipated this would happen. As soon as there is any more information we will share it with you, in the meantime, please bear with them - and for any product or information delays that this might cause. Thank you for your patience Grayskulls. How can it go so bad?? Oi, you grabbed two mo fo! One for me! I figured I wouldn't mention that in case you were ashamed? hmm has anyone who got this with the free shipping actually got it here in Aussieland? Always a bit of a worry with that sort of shipping! No sign of ours yet on the west side. Was hoping news of it 'landing' with someone ! fingers crossed they don't stuff up. Mind you, I saw an EMS parcel for me from china get to aus in 3 days, and then spend whole week in sydney going in circles.... on EMS! It's not Point Dread, but I got my Castle Grayskull with free shipping (from Cyber Monday). But, it arrived before Christmas. So ... I would start chasing mattycollector.com if PT was ordered around that same time. You are damaging my calm! My Grayskull order only arrived a week ago Friday. And that was ordered day 1 minute 1 of the sale. I also got my Battle Ram + figs the same day and that order was made a week later in the sale (day before the TF was made free postage). Just a backlog of mail. Don't stress. Your calm is in great shape everyone! My 2014 Cyber Monday orders arrived in mid and late January 2015. As an update, NSW talon fighter has landed, so perhaps the WA version is only a few days off! Teelas face is a smidge better in person than in pics, but she's still pretty narf. Quite like the overall feel of the figure, even though its not perfect! Talon fighter has a fair bit of paint imperfections, but hey, its a freakin huge talon fighter with point dread so I'm still happy! Feel like the castle is half full!! See i would be worried if I only got half... of a single item! Well its reassuring they not saying sod off. Damn thougjh still mate!